Special Thanks to Don Holbrook and Brian Rogers. 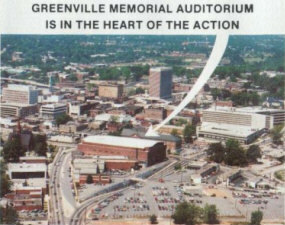 An aerial view of the Auditorium near downtown Greensville SC. 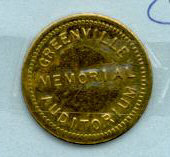 A parking token for the GMA parking garage. 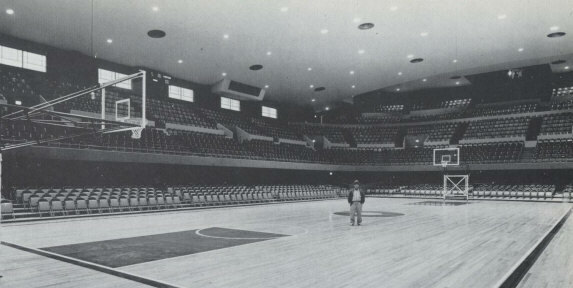 A great shot of the arena, set up here for basketball. 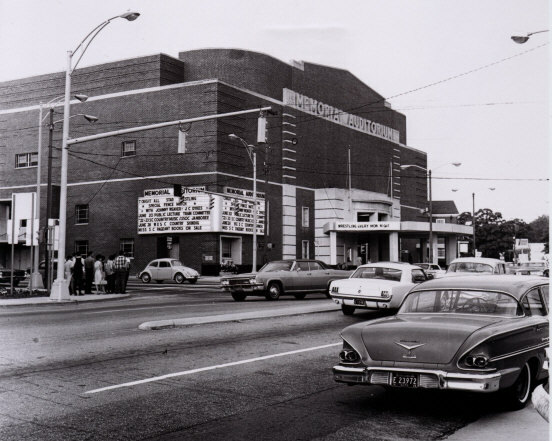 But this photo is great shot of the seating. 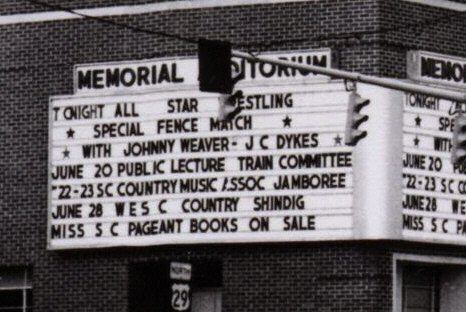 Folks, it doesn't get much better than this to watch wrestling. Not a bad seat in the house. 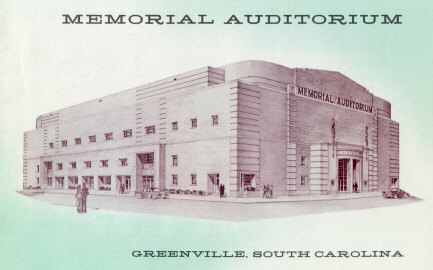 The Greenville Memorial Auditorium, June 1968. An enlarged look at the GMA marquee from the photo above. 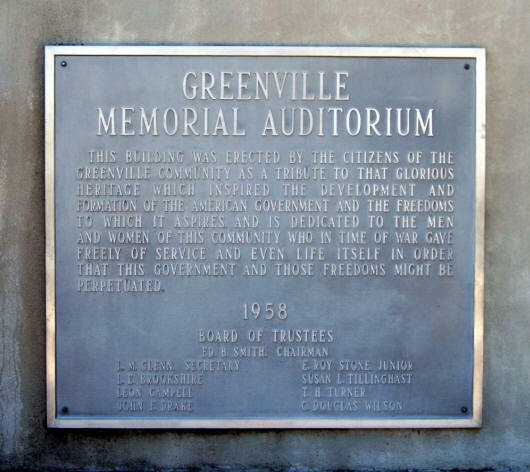 This image from Google Maps shows the now vacant lot where the Greenville Memorial Auditorium once stiood. 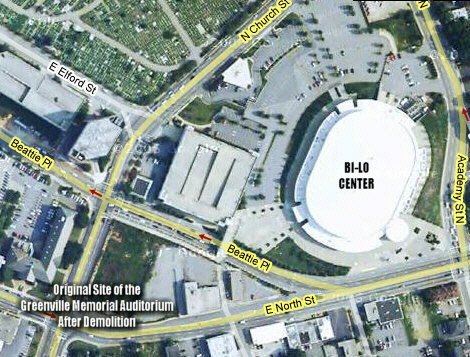 Just a block or so to the northeast is the Bi-Lo Center which replaced it as a major sports and event center. 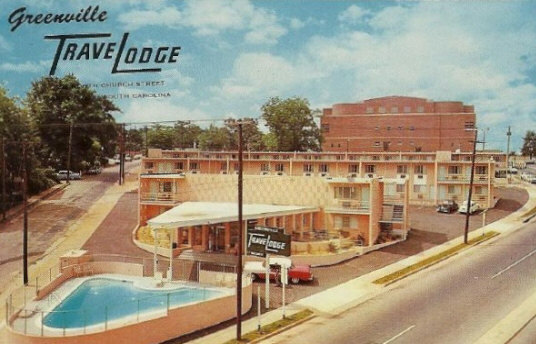 An old postcard of the Travel Lodge on Church Street in Greenville with the "Big Brown Box" behind it, the Greenville Memorial Auditorium. provided by Scooter Lesley, taken by Gene Gordon and © Ditch-Cat Photography.